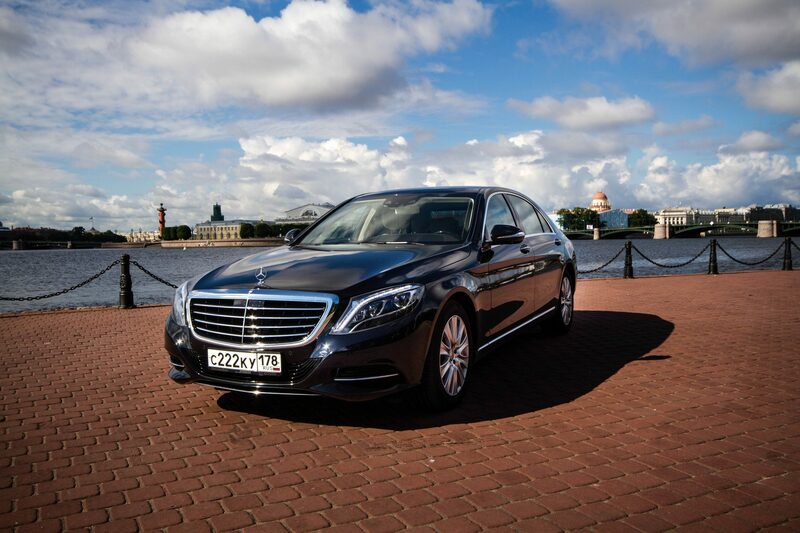 Booking our Mercedes 222 in St. Petersburg is one of the most popular services. 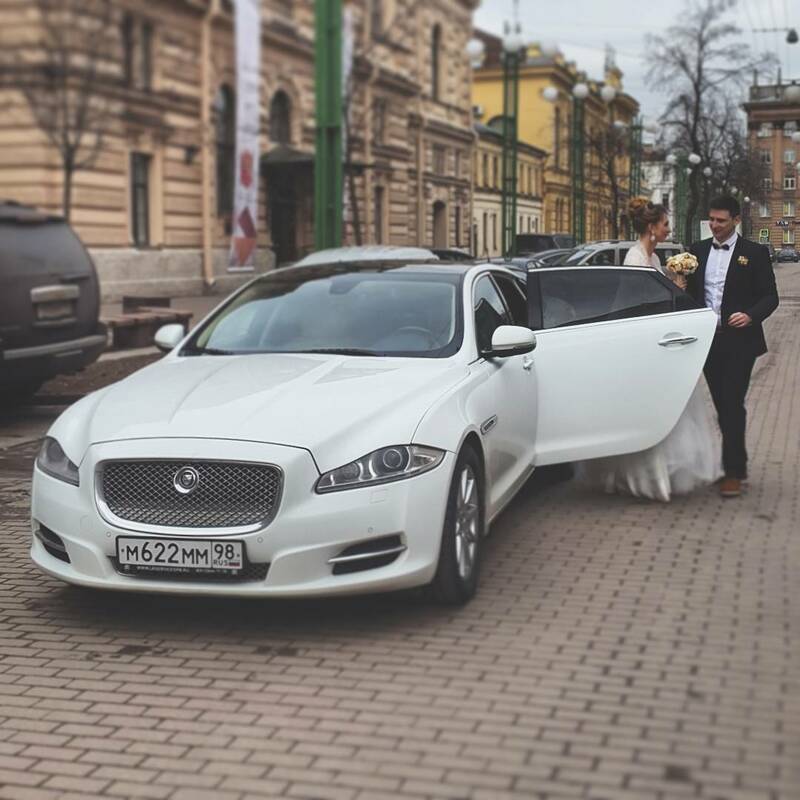 After all, with such a car and driver, you can create a feeling of success in others and show your good taste.The 222 is an excellent choice for transportation for your events. 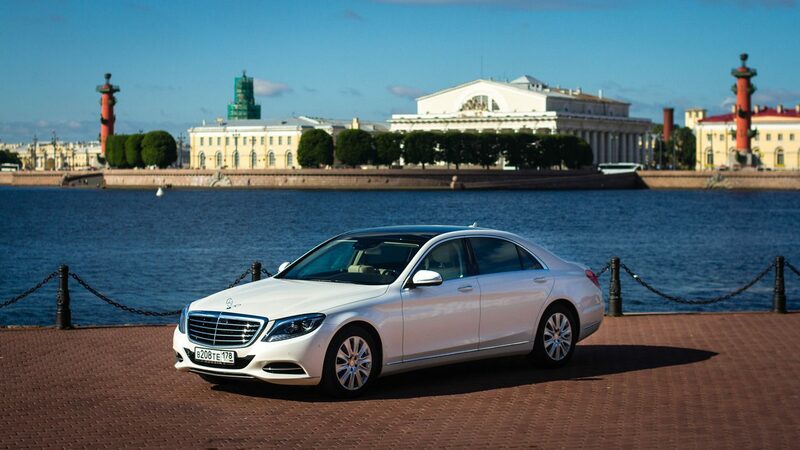 The Mercedes S class is the embodiment of aesthetics, safety and comfort. 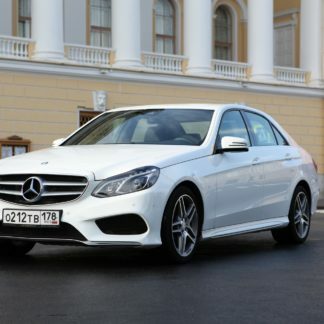 The appearance of this model of Mercedes: style and sophistication. 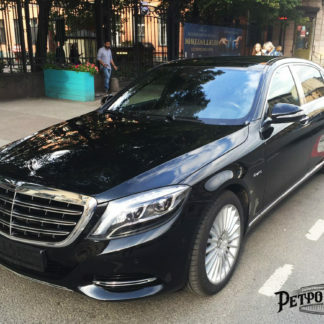 Mercedes W222 – this is a car of the executive class , well proven in the premium segment. 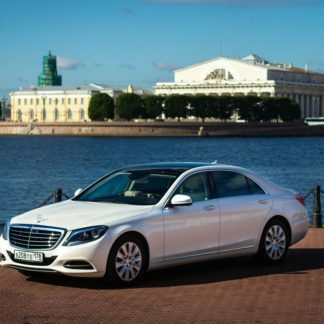 In St. Petersburg, many people want to order this car, because of its extraordinary appearance and comfort for passengers. 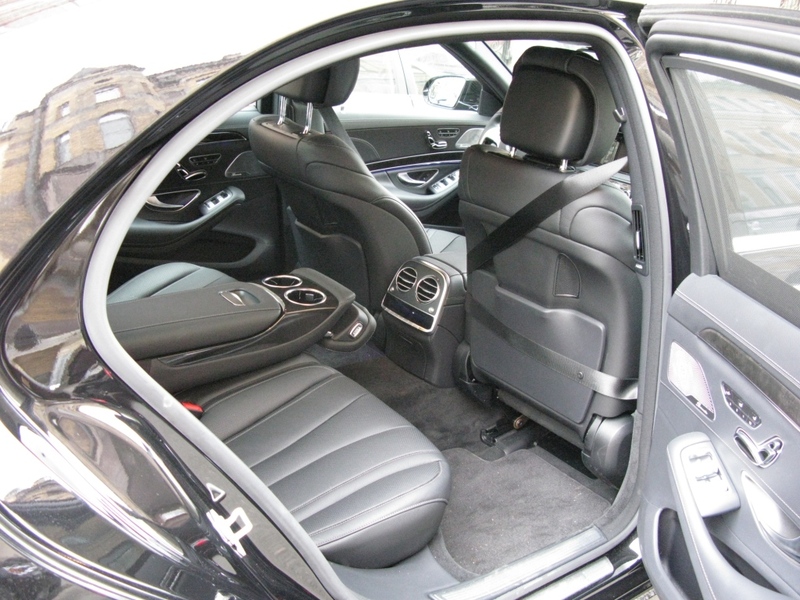 The car is larger than the previous model, but thanks to the efforts of designers it looks compact. This effect was achieved with the help of the sports arc of the roof and the relief punching of the rear part of the body and the sidewall. 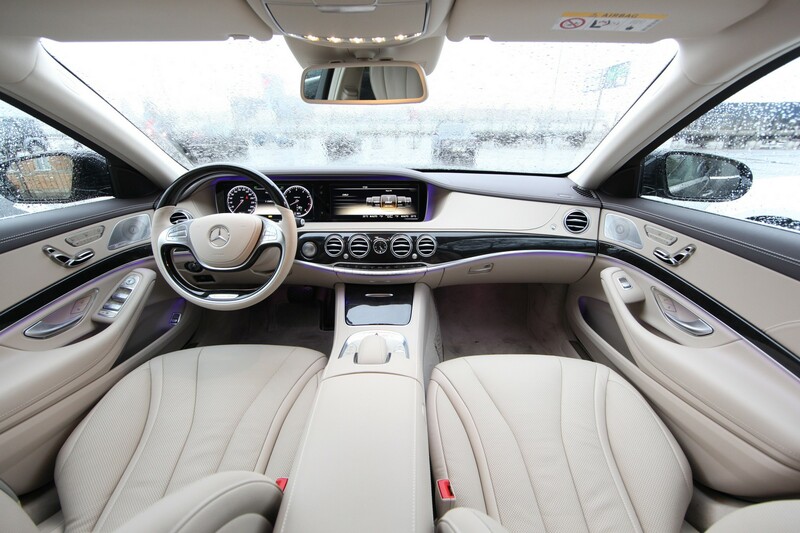 The main optics has found beautiful bends of light-emitting diodes, the rear lights have somewhat decreased. 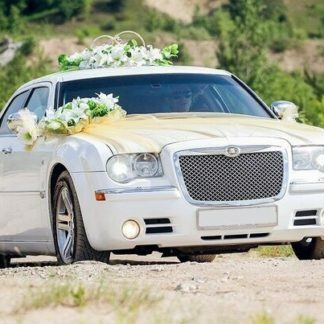 From the front of the car is decorated with a large radiator grill, which gives it a more solid look. 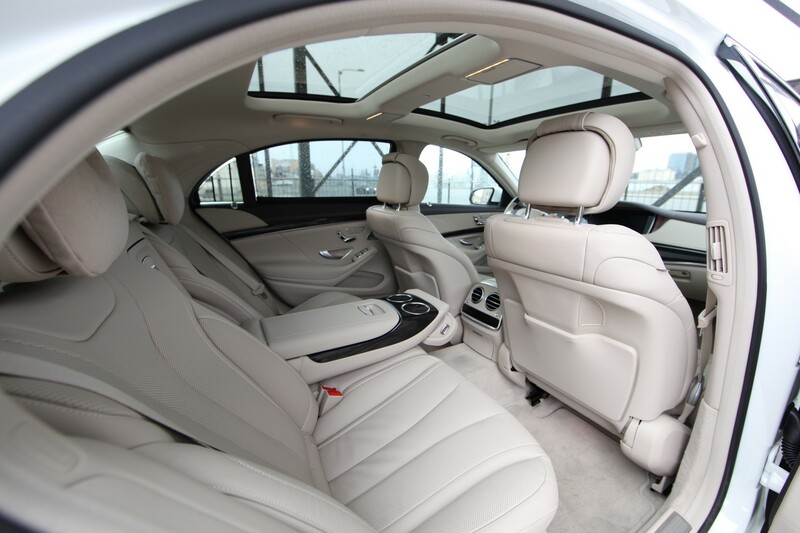 The increase in the size of the body allowed the creators of the Mercedes-Benz S-Class W222 to make the cabin more spacious. 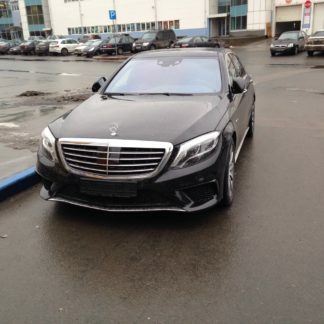 Since luxurious exterior design for the cars of the representative class of this brand is already standard, it is worth more in detail to consider the introduced electronic innovations. Full replacement of incandescent lamps with LEDs. Elements of interior lighting, consisting of more than 300 LEDs. Instead of an analog panel, a bright monitor appeared, which is installed in the central panel. 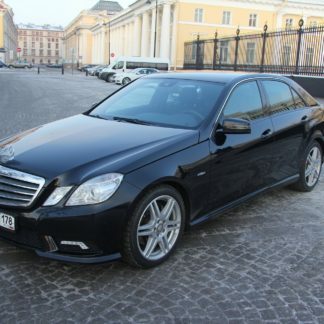 With it, you can control the navigation system, climate control, multimedia equipment and other options. Full heating of armchairs, including armrests. The most comfortable massage chairs. 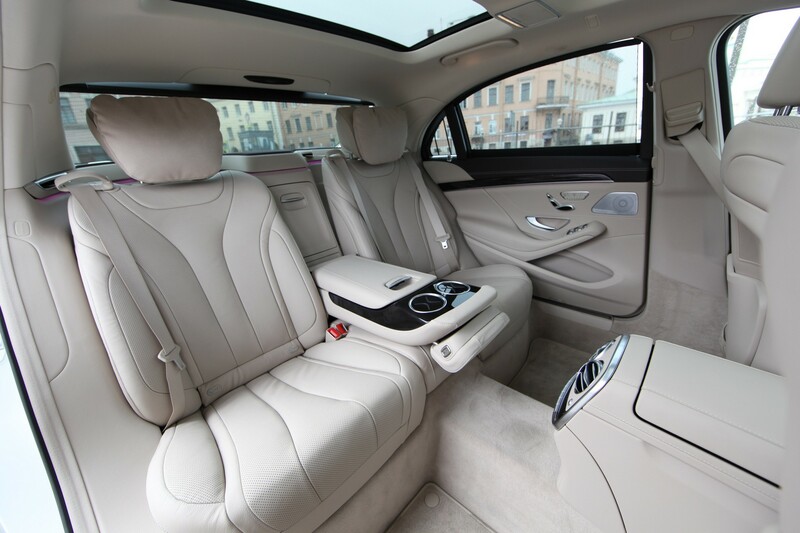 Audio system premium class Burmester with 24 speakers, etc. 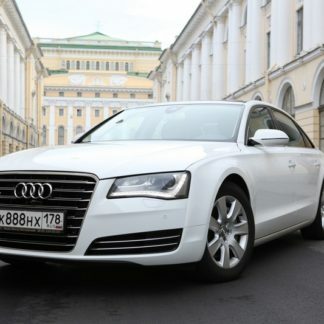 To improve safety, the car is equipped with a full autopilot, which can monitor the car in traffic jams or in a parking lot. 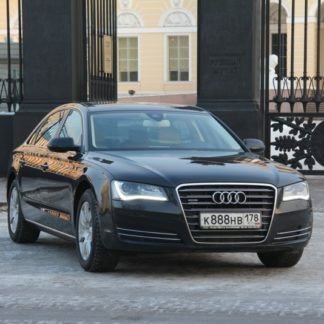 This is a very important function, since St. Petersburg can be verycongested with vehicles. The autopilot processes information about markings, pedestrians or animals, as well as transport in the front, and the state of the route. 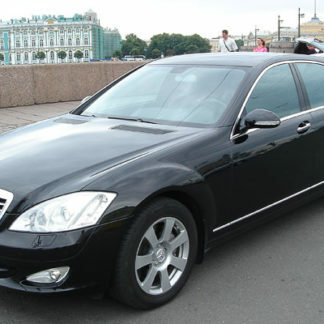 This is a wonderful choice of vehicles in our fleet and will far exceed your expectations!